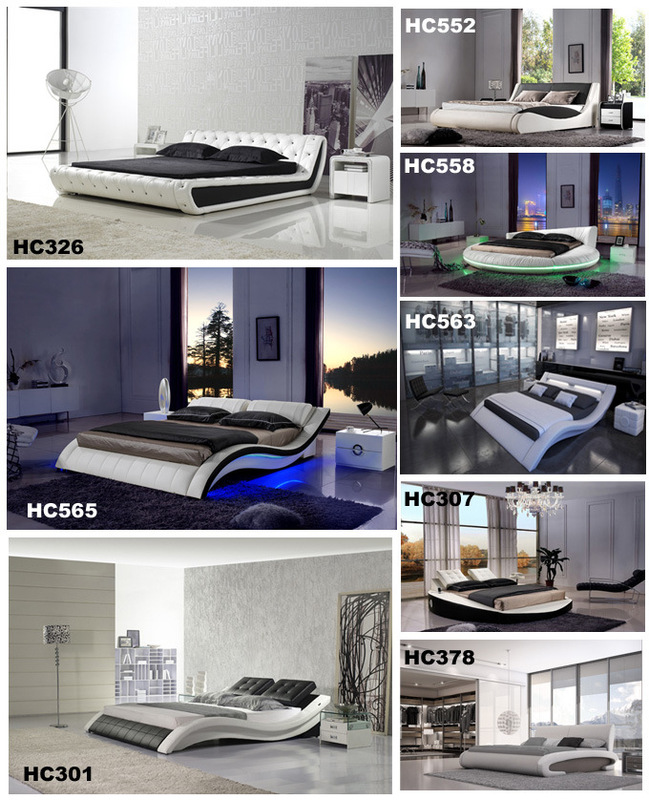 New elegant modern genuine leather bed suitable for master room, guest room and teenager's room. 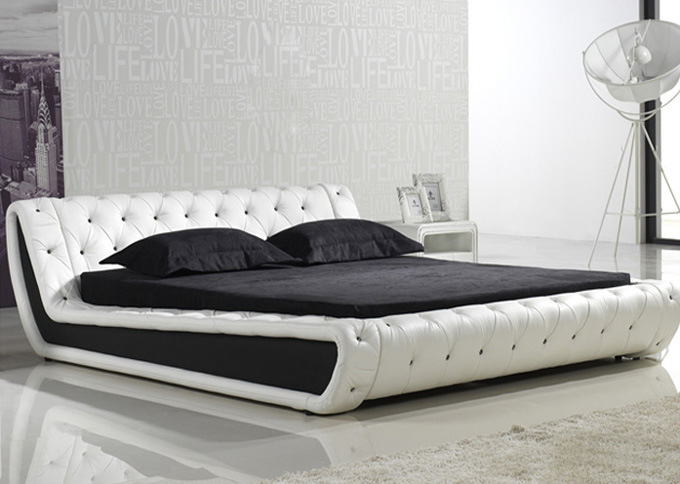 The bed has many optional colors as the leather color swatch. The bed frame is made of solid wood, high quality wooden slat support the mattress, the headboard is made of Italy imported genuine leather. The bed is K/D structure, but it's easy to assemble. Packed by EPE and carton box. We also provide the same style night stand, wardrobe, sofas, TV stand, coffee table, dining table and dining chairs to unify the whole house with the same decoration style. a.) 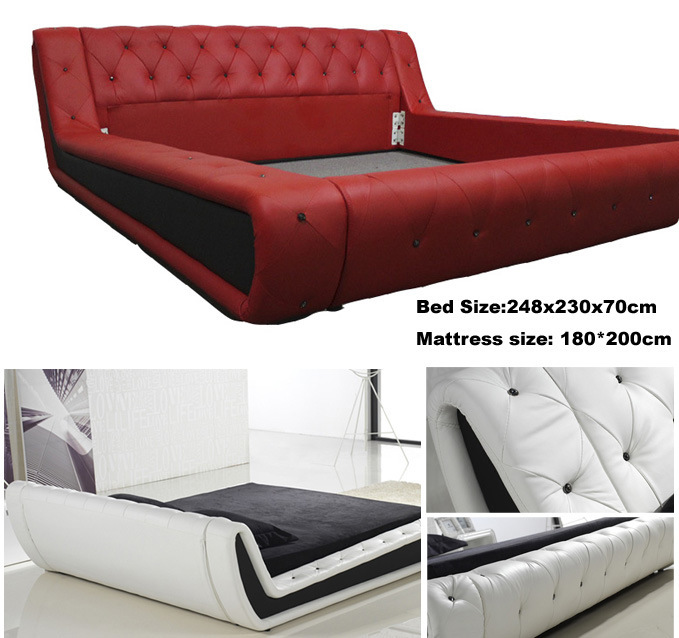 Upholstered with customized material, genuine leather, environmental protection leather, PU orÂ PVC. b. )Â Solid wooden frame, padding with high density comfortable foam. Packing way a.) Bubble bag. b.) Transparent & dustproof polybag. a.) one year against manufacture defect. b.) three years guarantee for the leather. c.) offer lifetime consultation on problem occurred. Lead time Within 2 weeks for production. 1.Â Are you factory or distributor? We are factory associated marketing office, we directly give factory prices and offer factory after services. 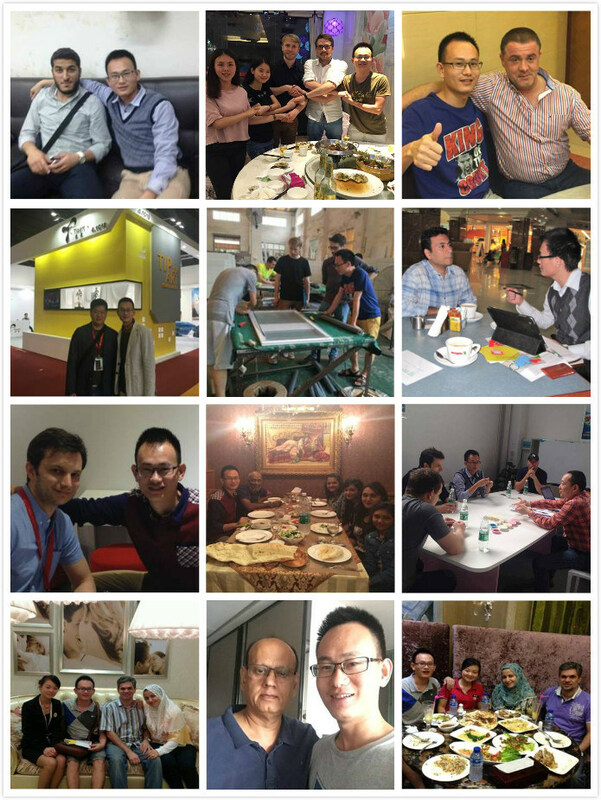 We are located in Lecong international furniture marketing center, Foshan City, one hour by car from Guangzhou. 3.Â How toÂ get the price? It depends on the products. Some items are only for wholesale, MOQ is more than 5-10pc; some items is available for retail, order 1pc is acceptable. 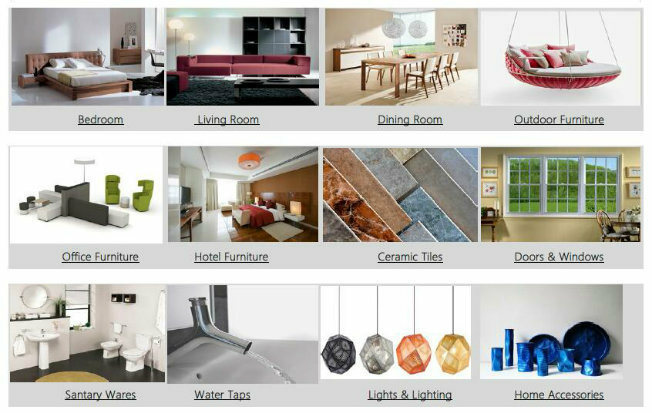 Yes, we accept OEM order, we can customize the designs according to your drawings or samples. 6. What is yourÂ priceÂ term? Generally, before start production we charge 30%-50% as the down payment, the balance will be paid after you receive inspection report and approve of the finished products. 7. What is the lead time? 9. Do you offer shipping service?